Nikki Peterson is a 42 year old sickle cell warrior living in Upper Marlboro, Maryland. With a degree in Special Education from Bennett College, Nikki has taught special education grades K through 12 and is currently the president and CEO of TutorsRUs, an educational service in Maryland. Nikki enjoys working with children and advocates for children with special needs as well as for patients with sickle cell disease. Nikki was among one of the first employees of the Consortium wearing multiple hats. 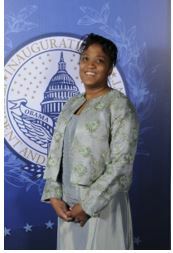 She currently serves as Special Projects Manager and is the Consortium liaison for Special Needs Education services.